That's one well loved TYRANT sticker! 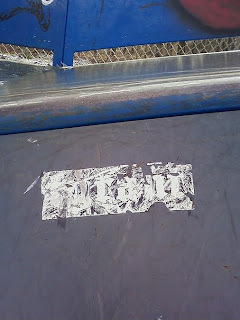 That's been stuck on the 1/4 at the Rocky Hill Skatepark since Dave and I sessioned there 4 years ago! Random post...I know...but it's cool to see that 4 years of bike-blade-board abuse and New England weather can't take TYRANT down!